If you’re feeling sentimental and looking for celebrity deaths today, look no further than this list of celebrities who died in 2016. As we all know, death spares no one - not even the rich and famous. Some of the famous people who died in 2016 departed after living long, productive lives, while other celebrity deaths were abrupt and came way too soon. Both scenarios are sad and this list of famous deaths 2016 can serve as a way to help us collectively mourn and remember those we lost this year. Even though they’ve departed this mortal coil, the people who died in 2016 won’t be forgotten any time soon. Don't forget to also check the list of 2017 celebrity deaths for more recent obits. Lately it feels like the celebrity obituaries have been appearing at a more rapid pace than they ever have. The latest celebrity deaths are just another reminder that life is fleeting even for celebrities, and that the walk down the red carpet doesn’t last forever. It’s always hard when a celebrity passes, and the recent famous deaths are no exception. If the celeb obits have you bummed, remember that the celebs who’ve moved on from this life will live forever through the magic of their work. If you’re looking for the most up to date list of recent Hollywood deaths, see our list of 2019 celebrity deaths. This list of 2016 celebrity deaths is not only a way to remember who we lost this year, but also as a way to keep a record of the myriad of famous deaths that happened in 2016. This list stays current with the newest and most notable deaths of people in entertainment. This list of celebrity deaths 2016 will be updated every time someone passes into the ether. Debbie Reynolds, a singer, actress, dancer, and businesswoman, died on December 28, just one day after her daughter Carrie Fisher also died. Reynolds had a stroke in Los Angeles earlier that day, and later died in an area hospital. Reynolds had a career that spanned decades, coming onto the movie scene in 1950 in Three Little Words. She starred in How The West Was Won, The Unsinkable Molly Brown, and Singing In The Rain, to name a few. She also had a prolific career on television, having guest star roles on programs like Will & Grace - which earned her an Emmy - and playing Aggie Cromwell in the Disney Halloweentown series. Actress Carrie Fisher, known for her portrayal as Princess Leia in the Star Wars films, died on December 27 at age 60. Fisher suffered a heart attack on December 23 on a flight from London to Los Angeles. She was transported to Ronald Reagan UCLA Medical Center and placed in intensive care before she died. The daughter of actress Debbie Reynolds and singer Eddie Fisher, she made her film debut in 1975 in the movie Shampoo. Two years later Fisher starred as Princess Leia Organa, catapulting her to super stardom and cementing the character as a pop culture icon. While most known for her Star Wars character, Fisher was also a notable screenwriter and producer. Singer George Michael died on December 25 at his home in London. According to his agent, Michael died from heart failure at the age of 53. Michael came onto the music scene in the duo Wham! before becoming a celebrated solo artist in the 1980s and '90s. Michaels was also notable for his gay rights activism and his philanthropic work raising money for charitable causes. 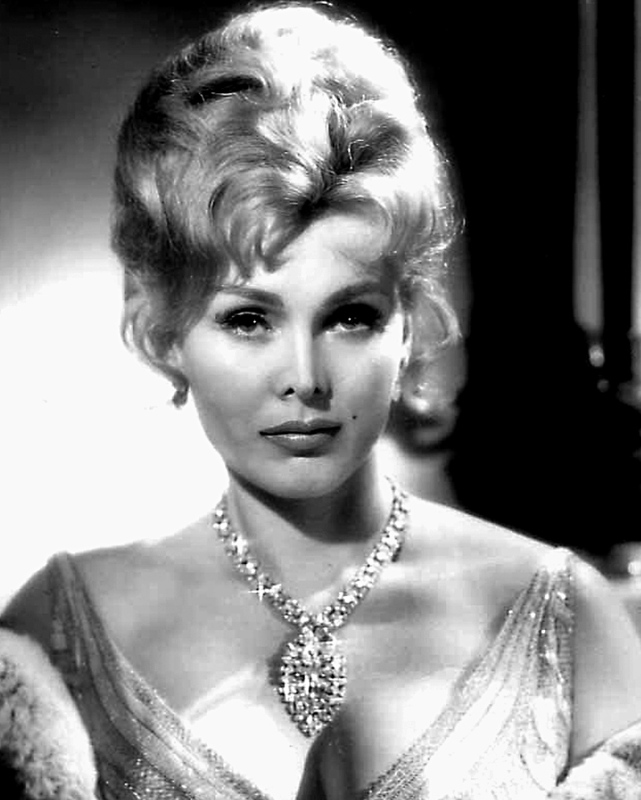 Zsa Zsa Gabor died on Dec. 18 at her home in Los Angeles from heart failure. She was 99. The starlet and socialite was known for her fabulous lifestyle, her love of diamonds and her many marriages to millionaires. She began her career in her native Hungary, where she was crowned Miss Hungary in 1936. After emigrating to America in 1944, she quickly became a star known for her exotic European flair. She was married nine times. Her husbands included diplomats, hoteliers, and businessmen. Before her death, she stated she wanted to move back to Hungary.